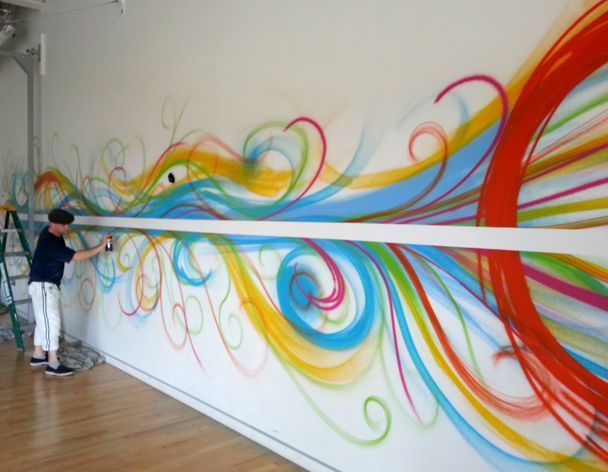 The Oasis Academy in Sheerness wanted a bright mural for the back wall of their dance studio. We started by spray painting a dynamic background with the schools 'messy 'O' ' logo at the end, and finished it off with four silhouettes of dancers in various positions. We managed to get this mural finished in one day, just before the pupils came back in the following day, after their summer break.